Super Administrators only. For security reasons, you will be prompted to enter your password when you access this page. Super Administrators are able to manage all team projects, regardless of whether or not those project have been explicitly shared with them. 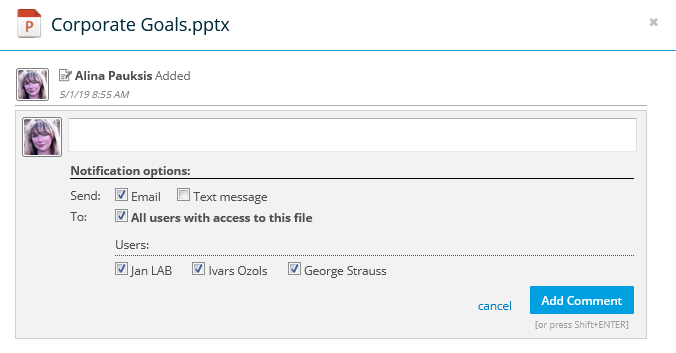 Super Administrators even have access to the Personal Documents folder assigned to every team member when they are added to the team. This page allows super administrators full access to all project management functions. 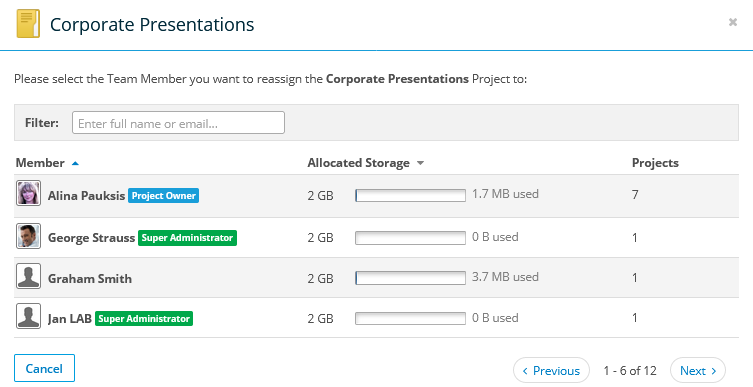 To display only all members' projects, all members' deleted projects, projects by active members, projects by deleted members, or projects by group, make a selection from the dropdown menu in the upper left corner of the list. Click a project name to open the Project Detail page. Copy Copy the project to your clipboard. 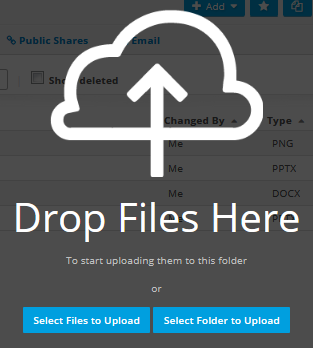 Drag and drop files into the cloud image or click Select Files to Upload to browse for files. Restore Restore this project on your computer. Not that this option requires that Workplace DesktopAlso known as the Workplace Desktop app, and in the context of this documentation, simply "the app," Workplace Desktop is the software installed on a computer that is responsible for synchronizing data between the local drive and the cloud. is installed on the device. Select the resource, optionally select the Grant Full Access & Reshare permissions to old owner when reassigning the project check box, then click Reassign Project. Delete Delete the entire project and all files and folders in the project. Confirm your action in the Delete Project popup. This option is only available to connections if Reshare permissions were granted when the project was shared with them. 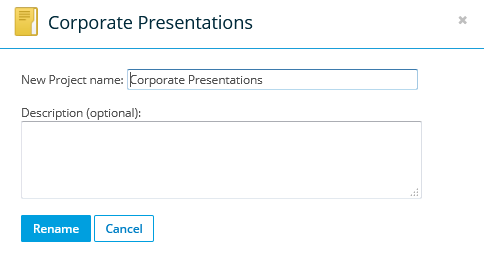 This option is only available when enabled by your administrator via Policy Profiles. Create a public share for the project. For details, refer to Manage Project, Folder, and File Team Shares. Click the Public Shares button.